Southwest removed a passenger deemed too large to fit in only one seat, and the man missed his uncle’s funeral as a result. Okamoni Fa was told he’d have to purchase a second seat, but none were empty, so Southwest sent him back to the gate. No other flights were available that day, so Fa missed the funeral. 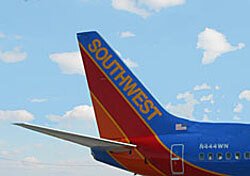 Southwest said it will refund the cost of the ticket. Fa says he flies all the time and has never had a problem before. Southwest is definitely within its rights to remove Fa under these circumstances. But my question is: Did Southwest cross the line, considering Fa was a) traveling to a funeral and b) there were no alternative flights that day? I’m thinking, yes. Customer comfort is important, but certain scenarios trump that, in my opinion. If Fa told the crew where he was flying, they should have let him stay onboard. I’d like to think his seatmates would understand and agree, too. Readers, what do you think? Should Southwest have made an exception to its policy under these circumstances?